The thing about crooked teeth is that patients are often prompted to correct out of a desire to improve how their smile looks. Even minor tooth misalignment can have a dramatic impact on your smile’s appearance, and therefore, on your overall confidence. Despite the fact that crooked teeth can also seriously affect the rest of your oral health, the esthetic motivation to correct them can cause some patients to hesitate to wear braces. For patients in North Hollywood, CA, however, straightening crooked teeth doesn’t always have to require wearing metal braces thanks to innovative Invisalign® clear aligners. 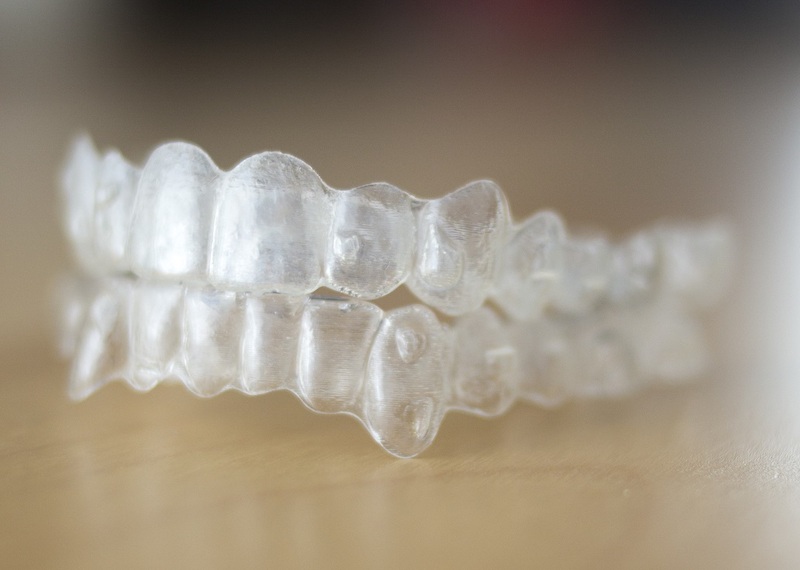 Do clear aligners work as good as braces? Clear aligners are orthodontic appliances that are designed to gradually straighten crooked teeth. While traditional braces do this with the help of brackets and arch wires, Invisalign® does it by utilizing a series of aligners that guide teeth through their innovative design. The aligners are made according to each patient’s prescribed path of tooth movement, with each aligner completing a specific phase of the movement. Will the aligners really be invisible? Besides being effective, clear aligners provide the important benefit of being virtually invisible when you wear them. That’s because they’re crafted from clear, BPA-free acrylic that fits comfortably and snugly over your teeth, rather than brackets that are semi-permanently bonded to them. With the aligners in place, you can still speak and smile confidently knowing your treatment is discreet. How do I brush and floss my teeth with aligners? Invisalign® clear aligners are also removable, which makes them ideal for keeping up with good hygiene every day. Simply take the aligners off before brushing and flossing your teeth, as well as before eating, and then replace them once you’ve finished. This helps ensure that no food particles or oral bacteria remain hidden underneath your aligners, which could increase your risk of developing tooth decay, gum disease, and more. With Invisalign® clear orthodontic aligners, you can enjoy the significant benefits of a straighter smile without worrying about having to accommodate metal braces for the next couple of years. For more information about the advantage of Invisalign® clear aligners, schedule a consultation by calling Modern Smile in North Hollywood, CA, today at 818-763-9353. We also proudly serve patients who live in Burbank, Toluca Lake, and all surrounding communities.